Comme des Garçons for everyone! What’s that you got on? Is it Comme des Garçons? Now you can look like Gwen Stefani without breaking the bank! 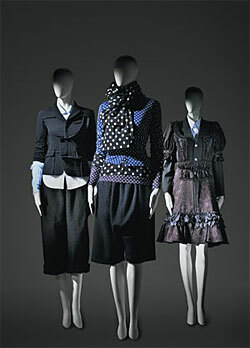 Designer Rei Kawakubo’s Comme des Garçons is coming to H&M after it’s release in Tokyo in November! What a brilliant way to introduce avant-garde at a lower price point! How exciting!!!! all hail comme des, it is it is perfection as always. goes with my varvatos converse. PERFECTION in its finest. Love you!!! !